Ages 3 to 5 only. No younger siblings please. Join us for a special book reading and action packed program with Rocky the Rhino. Rocky will teach you about martial arts and how we use physical science to improve our power. Let him teach your size doesn't matter; you too can have super strength. Operation Safe Kids uses leading technology to produce a biographical document containing a child's photograph along with digitized, inkless fingerprints and other vital identification information. Parents receive the document that can later be reproduced immediately for mass distribution to local, state and federal law enforcement agencies should their child become missing. This system saves valuable time when there is no time to spare. No information is saved on government computers. Come along for our children’s summer reading kickoff program featuring a fun-filled juggling show with Todd Key based on our theme of fizz, boom, read ! Space is limited to the first 75 attendees. Younger siblings will not be admitted. Tickets will be given out at 1:00. Melissa Taylor of Imagination Soup points first to your local library for summer reading programs, but has program suggestions to keep your kids reading through the summer. "They may want to participate in a huge national program or maybe the local library summer reading program is more their speed. Maybe an individual challenge will motivate them the most." "What is a fear of living? It's being preeminently afraid of dying. It is not doing what you came here to do..."
Author, poet, activist, actress, historian, educator Maya Angelou passed this morning at age 86. Her best known work is I Know Why the Caged Bird Sings. In 1993 she recited her poem, On the Pulse of Morning, at President Bill Clinton's inauguration. Many of her titles are available in the AFPLS catalogue. Encaustic art is richly colored art made with hot colored wax. Join us for this exciting program and learn how to turn melted crayons into amazing art! Information regarding the Summer Reading Program will also be provided. Registration is not required. Ages 13 to 18. Thursday 26 June at 2:30 p.m. Think you know everything there is to know about Science Fiction books and movies? Pit your knowledge against other Sci-Fi fans! Snacks and prizes provided. Registration is not required. Ages 13-18. Wednesday 4 June at 1:00 p.m.
A family craft program using recycled bottle caps to create wind chimes. Don’t forget to save your bottle caps! All ages welcome. Tuesdays: 3, 10, 17 & 24 June at 10:30 a.m. Enjoy thought provoking discussions of current fiction over light refreshments. Adults (ages 18+). Tuesday 17 June at 4:00 pm. Book discussions and activities for ages 5 to 8. Limited to 20 children. Book discussions and snacks for ages 9 to 12. Limited to 15 tweens. Book discussions and snacks for ages 13 to 18. Limited to 15 teens. Registration is required. To register and reserve a copy of each month’s book, please send an email to marcia.divack@fultoncountyga.gov. Don’t forget to include your name and age group! For senior citizens and residents of the Benton House Johns Creek. For more information about any of Ocee’s book clubs, phone 770.360.8897. 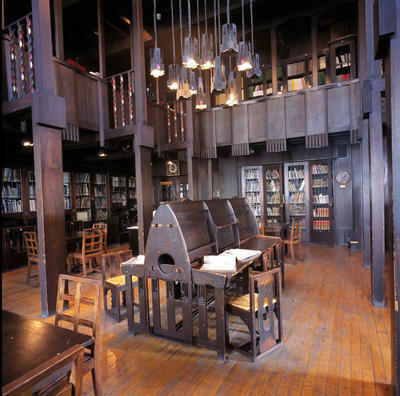 The library at Glasgow School of Art has been lost to the fire which swept through the Charles Rennie Mackintosh building on Friday. Iain Connelly, president of the Royal Incorporation of Architects in Scotland, said the value of the building "goes well beyond Glasgow or even Scotland. It is a work of architectural heritage of world renown and its influence on 20th century architecture is immeasurable. Scotland has seen the loss of an international treasure which reflects the genius of one of our greatest ever architects." Mackintosh was a 28 year old junior draughtsman at a Glasgow architecture firm when he drew up the designs for the building. The dramatic art nouveau design took 12 years to complete and opened in 1909. The interiors were designed in collaboration with his wife, Margaret MacDonald. View a 360 degree interactive image. Yesterday marked the 10th anniversary of the Seattle Central Library (USA) designed by Rem Koolhaus. Conde Nast Traveler magazine named it one of the "new seven wonders of the world.” The glass used in construction would cover to 5.5 football fields. Who is the odd looking woman celebrated in today's Google doodle? Mary Anning was an English fossil collector, dealer, and palaeontologist. Her major discoveries were the ichthyosaur and plesiosaur. While Mary was well-known in the scientific community of 19th century England, gender and social class kept her from fully participating. She was often not given credit for her discoveries and contributions. There are several books about Anning in the AFPL system. The following are available at Ocee. Chevalier is also on CD. Ocee Reads Book Club for adults (18 years+) has their first meeting Monday 9 June at 2 pm. I think readers will be excited about the June selection. Please contact Marcia Divack to sign up or phone the library at 770.360.8897. Atlanta Fulton Public Libraries will be closed for Memorial Day. In this era of high-stakes testing, it seems we have lost sight of the incredible benefits of reading for pleasure. Students are learning to jump through hoops to get a good grade on a test. While that might be a worthwhile endeavor for some, the purpose for educating is to develop a love of learning. How do we develop this love of learning and reading? Here is where reading for pleasure comes into the picture. The first step to doing this is giving children access to lots of books. Make frequent trips to the library with your child. The second step is to allow children to pick their own books. It's OK if the book isn't exactly on the child's reading level. Sometimes, it's fun to read a book that is too easy. Children learn how to relax with a book. And sometimes, it is fun to read a book that is too hard, especially if the child is interested in the topic. Third, provide time for kids to read these books. At home, model reading for pleasure and taking time to read. Or read before bed while at the pool or on vacation. Invite your child to read with you. You could read a book together or read side by side. Talk about the books you read. The Johns Creek Veterans Association is hosting a Memorial Day Picnic on the newly installed entrance plaza of the Veterans Memorial Walk at Newtown Park on May 18. The picnic kicks off at 11 a.m. and ends at 2 p.m. The picnic, which is free and open to the public, features traditional American fare - grilled hot dogs and hamburgers, chips, and other delectables. Visitors can talk with veterans, and order pavers engraved for anyone who served in the military. The official opening of the Memorial Walk is on Veterans Day weekend, November, 2014. Gary Tabor of the Wilmington, Delaware police department major crimes unit had been in many homes during his time on the force. He noticed a common denominator was a lack of books in these homes. Tabor's wife, a teacher, told him about the correlation between books in the home and higher graduation rates. 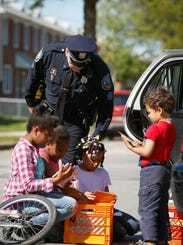 “The Book ‘Em Cops and Kids Literacy Initiative” was begun. The program now includes 20 officers and nearly 6000 books have been given away free of charge since August. For many kids, it's the first book they've ever owned. Teens 12-18, celebrate the end of the school year with food, fun, and friends! Bring a blanket or beach towel Saturday 24 May at 1:30 for this picnic style event. No reservations required - first come first served. Vegetarian options will be available. Read a history of Mother's Day on its centennial. 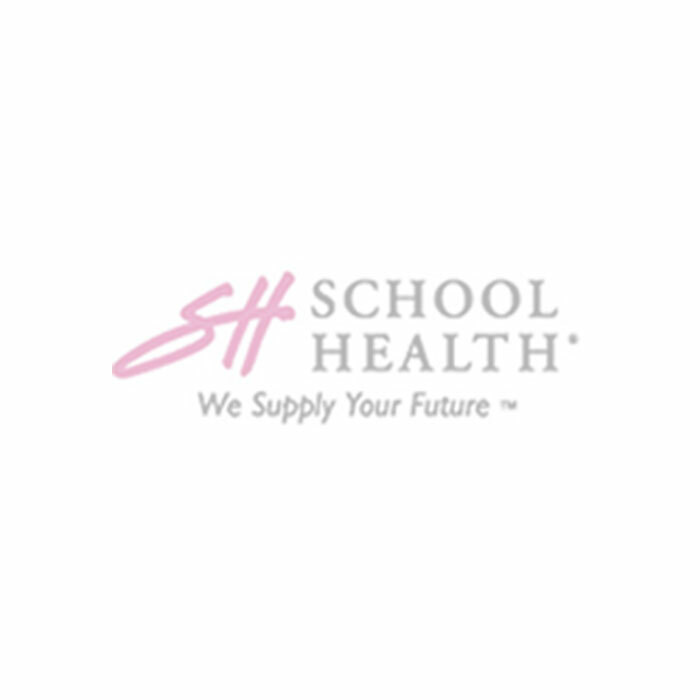 Helps keep your technology safe while your child takes advantage of e-books and learning apps. Teddy's also great for children (of any age) with strength and motor deficits. Ted's tummy and bottom are non-skid and his arms/legs flex to hold the tablet in place. After use, slip your tablet into the padded backpack. Tuesday 13 May 10:30 a.m.
With early voting, programing is a little lighter this month. Flowers boring? Long lines to dine out? Treat mom to the gift of song! The Alpharetta Community Chorus along with guests, Fulton Co Honor Chorus North and musical accompaniment, performs this Sunday 11 May at Alpharetta Presbyterian Church at 3. Their program includes a number of genres from Renaissance to Swing, sacred harp singing to New Age. Starting Monday, May 5th, Fulton County registered voters can choose from 19 locations to cast their ballot during the 2014 Primary Election. During the week of May 5 – May 10, early voting polling hours will be 8:00am – 6:00pm, including Saturday voting on May 10th. In the final week, May 12 – May 16, voting hours will be Monday through Friday, 7:00am – 7:00pm. Additional neighborhood locations include Northeast/Spruill Oaks library and Johns Creek Environmental Campus.